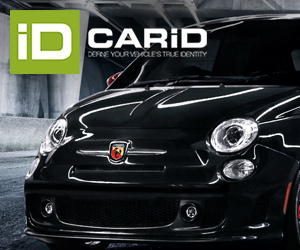 In the last 10 years Fiat Group has seen how it has been displaced from upper segment into entry ones. The time of big and popular Alfa Romeos, Lancias, and even Fiat is gone. Europe is now dominated by big Germans, and those trying to catch some piece of the segment fail: the French, Lexus, Saab, and somehow Volvo, and Jaguar. First it was the Alfa Romeo 166, but soon came the flop of Lancia Thesis in the upper segments. Then Germans continued to gain share, and D-Segment was the next battlefield that Fiat and its brands lost. 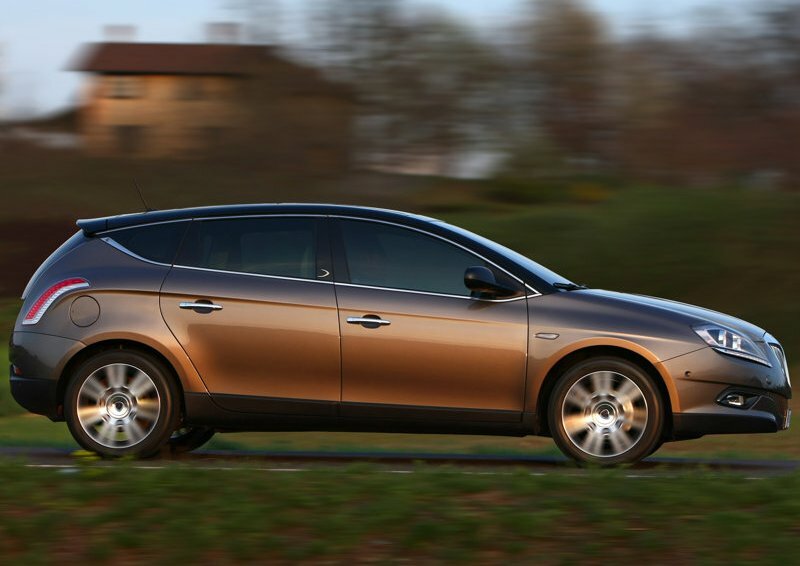 The Lancia Lybra came first, and it was followed by the Fiat Croma, and recently the beautiful Alfa Romeo 159. All of these cars died without a direct heir, as the new Thema comes more from a ‘lucky’ move than a real strategic plan. These two segments, ‘D’ and ‘E’, count for 13% of European PC market in 2012*, (with more or less 2 million units), and are, along the ‘F’ and sporty cars, the most profitable segments. Current crisis hasn’t had the bad impact as in lower segments, and this has allowed Audi, BMW, and Mercedes to resist the storm and gain more money and share. The Bravo is a very pretty car, but its positioning and pricing didn’t help it at all. It will say good bye this year without an immediate successor. The problem is that more powerful premium Germans means lower share and sales for mainstream brands. Fiat knows it. Its compact cars offer is also being affected by strong competition coming from regular brands, such as VW, and recently by premium cars. Fiat as a brand came from selling the popular Tipo in early 90’s, to fail continuously with the Bravo/Brava, Stilo, and Bravo. Lancia had the same story with the Delta, and now Alfa Romeo seems to not be capable to maintain the initial success of the Giulietta. The Alfa 147 was a successful car, but unfortunately Alfa waited too long for its substitute, and in that time many clients moved to German brands. So, when the Giulietta came on scene, many potential buyers were already driving an A3, or a BMW 1-Series. At the end, Fiat Group hasn’t any presence in ‘E’ and ‘D’ segments (the Thema sells around 2.000 units/year, while the Ghibli hasn’t arrived yet), and now is being displaced in the vital C-Segment. The Fiat Bravo isn’t a bad car. In my opinion, is quite balanced in terms of features, design and comfort. It’s a pretty car with interesting engines, and not expensive at all. But since its introduction in early 2007, it hasn’t been able to sell more than 100.000 units/year. It wasn’t even able to lead C-Segment sales in Italy. The problem: lack of bodytypes, such as the SW and 3 door (the Stilo 3 door was some how popular), positioning, and communication campaigns. The Delta is another interesting product. It could be defined the most refined compact in Europe thanks to its semi premium interior, and big room for the passengers in the back. The car is equipped with powerful engines, but that luxury touch had a price, which was sometimes close to Germans’. As the Bravo, it lacked of SW bodytype, because Lancia guys enlarged the Bravo to create a sort of big compact/small SW. Unfortunately most of the buyers look for a real SW or a real hatchback, but nothing in the middle. The Delta did a good job in Italy during its first years, but it is a complete flop outside its homeland. Both models will die this year as their production in Cassino plant will be halted. As it happened with bigger sedans, these two models are not expected to have immediate replacements. The Giulietta struggles to survive European crisis, despite the lack of more bodytype options and increasing competition (new Golf, A3, 1-Series, DS4). The Alfa Giulietta is the last competitive compact car of the group in Europe. It was launched in early 2010, and soon it became a success in many European markets. It has allowed the brand to resist current car industry crisis (as the 159 disappeared, and the MiTo isn’t popular at all), but it has proved not to be immune from Alfa Romeo’s main disease: their short maturity life cycle. It had a great start but this success didn’t last for too long, as competition got more difficult, and it doesn’t offer the SW version (Italians love SW), and not even a sporty coupe version. The main threat: Fiat is being brought to bay and is getting out of offer in Europe’s most important segment. The main challenge: to bring to life a new concept of compact car (just as Nissan did with the Qashqai) to allow Fiat brand to enlarge its range of products (not the Viaggio). Lancia should wait a bit for the arrival of the new Chrysler 100. 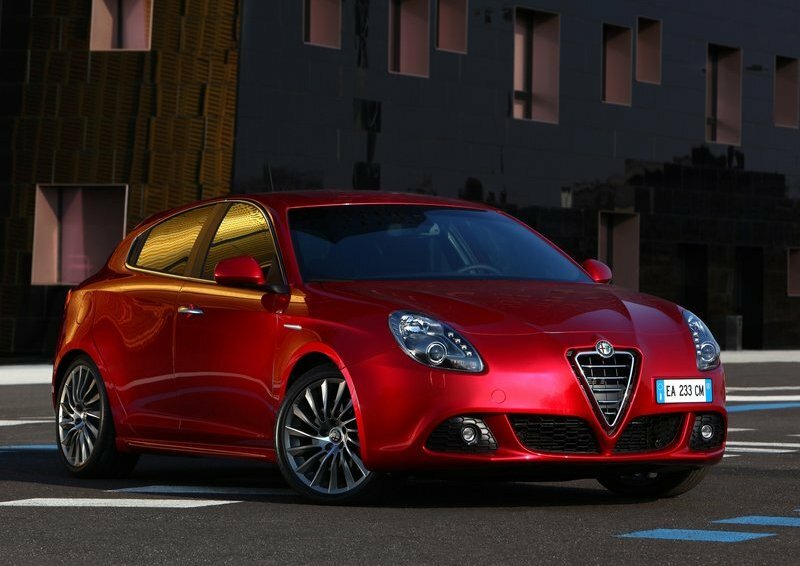 And Alfa Romeo should boost Giulietta’s sales with the coming restyling. Positioning and good marketing are the keys for this success, as design isn’t the problem for Italian cars. ← Dodge Viper or Chevrolet Corvette? The other factor is that with the A4, A5, 3-series, M3 and so on, many buyers may go to the Audi or BMW dealer to admire or even test drive a car beyond their budgets — and then buy a less expensive one. With the Giulietta the top of the Alfa Romeo range, there would be little chance of it benefiting from that type drip-down effect. Once the Giulia is (finally) launched, I think it will benefit the Giulia and MiTo more than it will hurt them. You’re right thysi. I agree with you. The 4C should help the brand in that way. And it will be even worst in the D segment. Fiat group is out of it since now the end of the 159 and will be without any proposal until at least 2015. So more than 4 years without any car in the D segment. Of course it is a big crisis in Europe but all the 159 owners who want to change their car are going to the competition and may not come back later. The reserve of Customer for the group in that important segments (C and D) where the image is more and more important will be almost 0 when the Giuila will come (if it comes). So SW, no SUV (on the C and D sizes) and no D segment. It is a big lack of product for the entire group and a big lost of customers. It will make things difficult if new models are coming later. Not sure Fiat management have understood that. One can only hope that Marchionne knows what he’s doing by neglecting the C segment in Europe (and, as DeWitte points out, even the B segment, which has historically been a very important segment for Fiat, whose first generation Punto at one time in the 90s even outsold the Golf if I’m not mistaken). I see the C segment as the biggest problem for the Fiat group. They have rarely had any cars that stood out. The only truly competitive car is the Giulietta IMO. However with a 2 model range generating traffic into the showrooms is very tough. Then as pointed out there are no wagon or coupe derivatives, the updates were delayed etc. However I am positive that Alfa can bounce back with the new cars – 4C, 169, SUV, Giulia etc will help reignite interest in the updated Giulietta and its replacement. The Barvo is a big problem. My father owns a 150T-jet and I drive it quite often. The engine and gearbox is great and the styling is good. But the chassis does not feel special at all. It feels very ordinary. The biggest problem has to be the Delta though. And part of the reason is that it’s based on the somewhat lackluster Bravo. 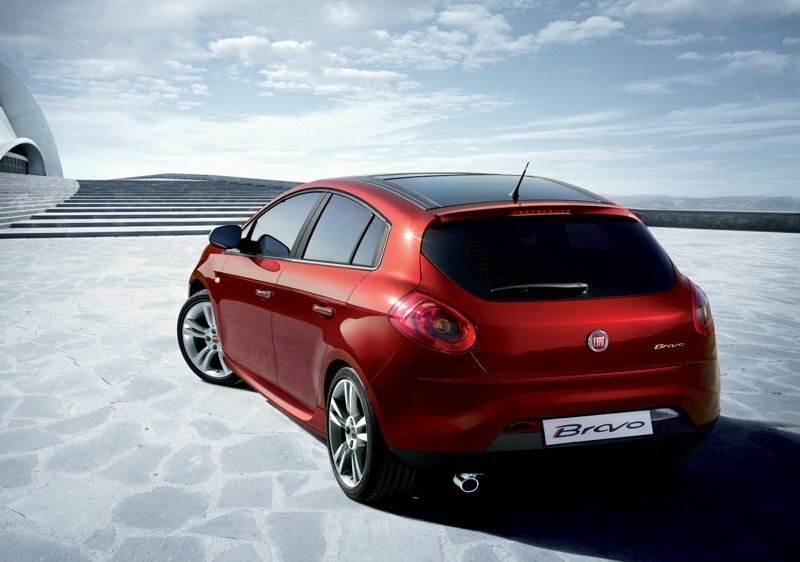 Here’s my solution – The current Giulietta must become the new Bravo. Use slightly lower cost materials, make it roomier make a wagon and a crossover, but have a sophisticated chassis as the starting point. If you look at the competition – the Golf and the Focus they are sophisticated and dynamically excellent. Must have an Abarth too. Then move the next Giulietta even more upmarket and pricier to compete with the 1 series and A3. Need to have a Coupe derivative. Some of the most memorable Alfas have been coupes. Have class leading range topping models QV and GTA. A crossover/suv is also okay to spread the costs especially considering the US market. The Delta I’m not 100% certain what to do with it. First there must be a clear direction for Lancia. Looking at how small the brand has become over the years, the new tie-up with Chrysler models (No matter what Olivier Francios says I can’t see any parallel between Chrysler and Lancia) and positioning it as the luxury option is all very confusing. If Fiat are serious about keeping Lancia alive they need to do something to give it a jolt. I think it’s crazy to ignore the great (and priceless) WRC past of the brand. Lancia needs some headline grabbing halo models just like Alfa needed the 8C and 4C. They need a new Integrale and a Stratos. And why not? FGA has all the resources and donor cars to make it a reality. However all this will take a back seat until the merger with Chrysler is complete. After that I’m hoping to see the big revival of Maserati (already happening) and Alfa. I think only after than with Lancia get proper attention. Argt21 has good ideas how to turn the Fiat group around. I especially agree on giving Lancia a jolt, bring back at least one halo model like the Integrale or Stratos. Without that, Lancia might as well pack it’s bags and leave the business. It would be very inconsistent, though, having one halo vehicle in the range, with the rest being rebadged versions of another brand’s vehicles. In hindsight, it’s very sad that the 2003 Lancia Fulvia concept vehicle didn’t spawn a production version (like the 2004 Fiat Trepiùno concept that eventually resulted in today’s million-selling 500), my guess is that Lancia’s status would have been very different today had the Fulvia been launched. Nice points argt21. 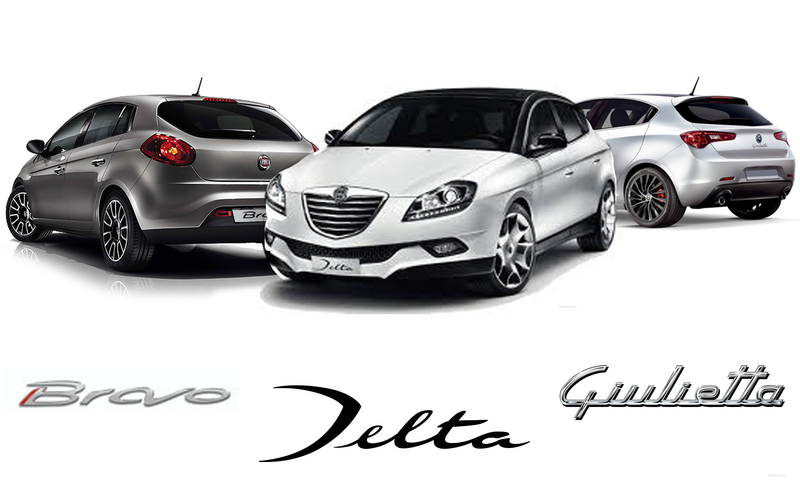 One thing only: the Giulietta is already the same car of Fiat Bravo, they share the same platform. That’s incorrect, actually – the Fiat Bravo is based on the same platform as the one used by the Stilo (it’s been slightly tweaked since then, I’d assume, but is essentially the same), with a torsion beam rear suspension. The Delta uses the same platform as the Bravo, albeit with a 100 mm greater wheelbase (which this platform allows). The Giulietta, on the other hand, uses a virtually all-new platform, called C-Evo. In truth, it’s derived from the Bravo’s platform, but pretty much everything is new and only a few bits have been carried over (see this picture for a quick overview, or read this article). As we know, the Giulietta has a more sophisticated rear suspension (multi-link) than the Bravo/Delta/Stilo. A different rear suspension in itself doesn’t (or at least shouldn’t) mean whole new platform. For example, VW offers the current Jetta with both torsion beam and multi-link rear suspensions, depending on the market and the model. For non-sporting applications, a torsion beam setup is less expensive and weighs less, thus helping fuel economy, and yet can provide good handling (if well tuned). So keeping the Fiat models on torsion beam makes perfect sense to me. In any case, though, my original point still stands – the Bravo and Giulietta do not share platforms (though it would be logical to assume that future Fiat Group C segment cars would do just that, even with differentiated rear suspension). And soon it seems the Fiat brand will be completely absent from the C segment once the Bravo is discontinued with no proper successor (though perhaps Fiat may enter a different segment with a crossover, like Nissan did with its ridiculous Qashqow). And Lancia may also be absent, unless the Chrysler 100, which is rumoured to have been axed, is indeed launched and ends up in Europe with a Lancia badge. So while the range of C segment offerings from the Fiat group today may seem pretty limited, it’s nothing compared to how limited it may turn out to be in just a year or two, when maybe only the Giulietta is the only C segment vehicle left (and that’s assuming some pesky Germans don’t spoil the Alfa Romeo show in the meantime, causing Fiat to be completely absent from the already German-dominated C segment). But wait, there’s more… the upcoming B-segment disaster, Mi.To is a complete flop inside and outside Italy, Ypsilon is already a flop outside Italy and now the 8 year old Punto is flopping big time outside Italy. The worst part of it? It looks like the flop tendency is expanding to everything related to Fiat from compact cars to large cars, I’m talking about Dart and Viaggio, both are struggling to reach decent numbers each month, Dart is moving around 8,000 cars and Viaggio just 3, 000 when the direct competition is selling 3-4 times more and we are talking about their home markets where they are produced. One reason for Dart’s low sales numbers is the heavy discounting Chrysler is doing on the one-size-larger 200/Avenger. A substantially inferior car (in my opinion), but it is larger, and that matters a lot, especially in the US. An interesting blog and discussion. Yes it seems to me, af if the management has forgotten the idea of Fiat car: value for money with good driving. The korean marques seem to have taken this segment. I don’t understand why they are hesitating to bring the Viaggio to the european market. Personaly I need a replacement for my 12 years old Multipla. Fiat simply hasn’t got a car in this segment anymore. There’s the Freemont – too big and expensive. There’s the 500L: too small and – I think – too fancy. I don’t need a lifestyle car. There’s the Qubo and Dobló: to much of a van made for transport os goods. I need a family car that can call a smile on my face. But there’s not even a sw … 12 years ago ther was the Marea SW with a 5 cylinder engine … Do you rememer that? Yes I do. Maybe Fiat is working on what you really want. I’ll explain that in a comming post. the should hire the SAME people who turned around Skoda and let THEM decide EVERYTHING that the brands – product cycles should be, not the arrogant financial whiz with NO sense of a product plan that is Marchionne !! !